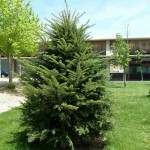 The tall European silver fir reaches great heights with age. 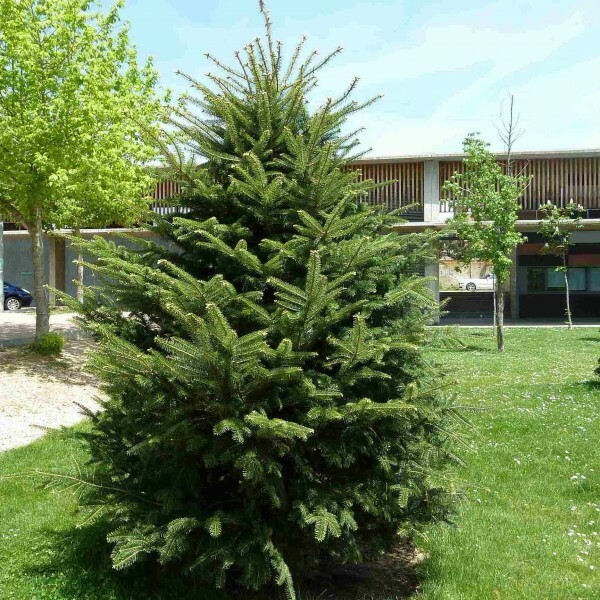 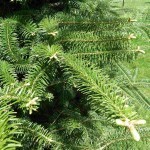 Young trees were traditionally used as Christmas trees in Central Europe before North American fir species were introduced to the market. 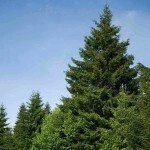 The pyramidal young trees develop wider, more flattened canopies as they grow. They also become enormous. Populations of grand specimens exist throughout the southern mountains of Europe, from the Pyrennes eastward to the Alps and into the Caucusus. 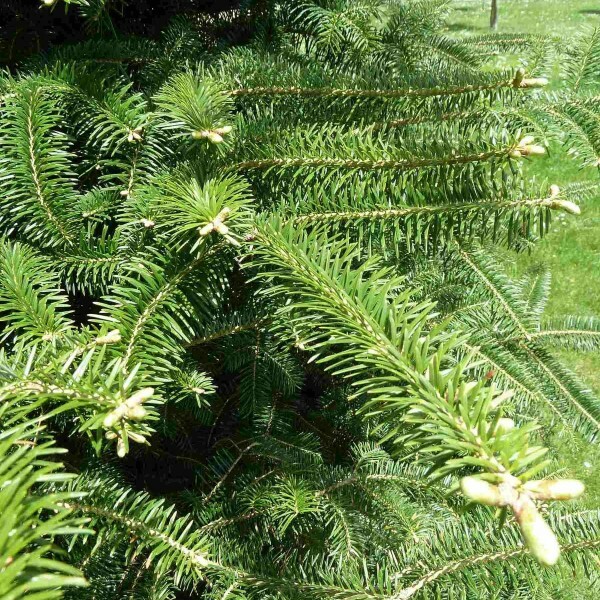 The flattened needles of this fragrant fir are held horizontally on trees growing in partial sun and erect on those grown in full sun. 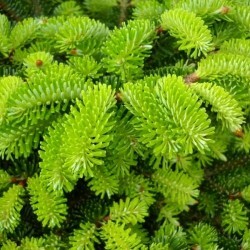 They are glossy and dark green with silvery gray bands on their undersides. 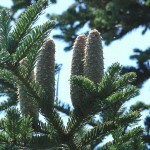 Small male cones of pinkish violet are produced alongside large, cylindrical female cones that turn from yellow-green to sienna. 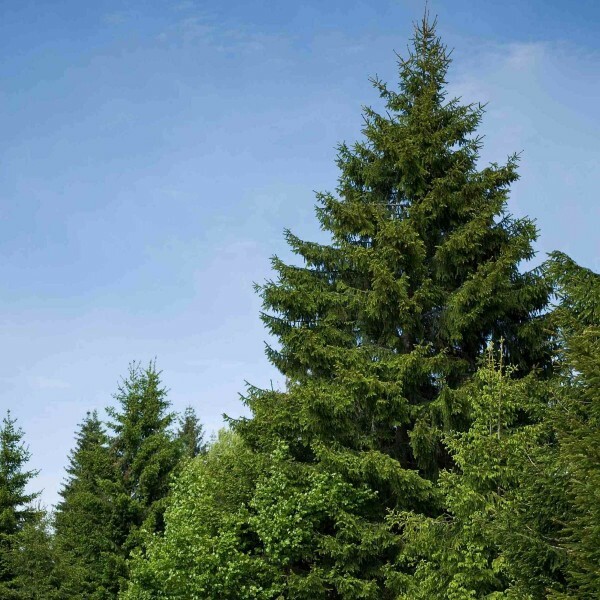 Mature trees develop plates along the otherwise smooth gray bark of the trunk.